It required a task force of some 1,000 ships to transport the Seventh Army's mighty armada of men and materiel to the coast of Southern France. 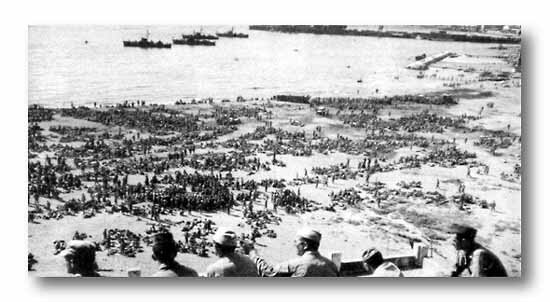 Veterans of the 36th waited, as they had waited before their transfer to the Anzio beachhead, on the dirty sands of Pozzuoli, Italy (below). Then they lined up in columns, climbed the gangways of the LST'S, LCI'S and the larger troop transports, carried their loads across the decks, and went down into stuffy holds. Soldiers and sailors met and compared rumors. 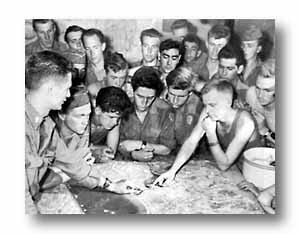 GI's sunned themselves and read or performed their shipboard duties. They slept in the shadows of the small landing craft, between complicated gear, and in the stacked, cramped beds that filled the hot holds. Maps and charts and aerial photos were studied; scale models of the approaches and beaches were examined. 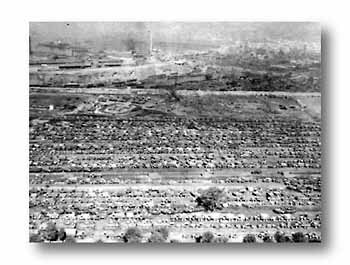 The months of planning and the weeks of filling in every detail were brought down to the final phase, with every squad learning its mission, every man discovering the smallest part of his participation in the most precise of all military operations. All the way there was tension. Leathery S/Sgt. 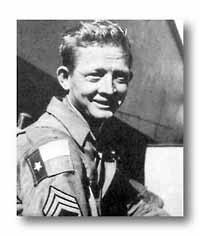 Forrest C. Kimbrell declined to invade simply as an American. He was a Texan wearing the Lone Star flag on his right arm. Kimbrell was wounded second day.